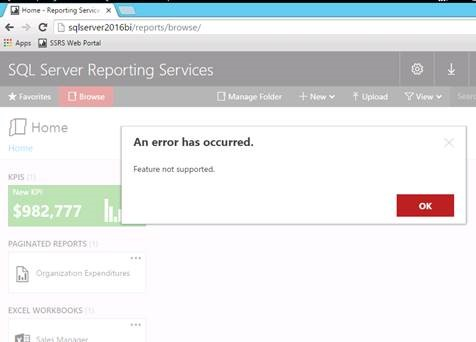 Report models cannot be uploaded to SSRS 2016. Applies to: Microsoft SQL Server 2016. "An error has occurred. Feature not supported." However this MSDN following article states .smdl files can be uploaded using Report Manager. As stated by SQL Server BI Team on this Connect item, this functionality is no longer available on SQL Server 2016 and was deprecated since SQL Server 2012. Documentation will be updated soon.